Staying in Berlin over the weekend? 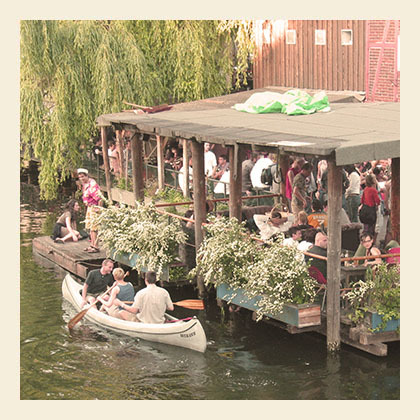 You want to discover the best of Berlin but you don´t know where to find it? Well read on for some real cool insider tips. This is what the EastSeven Berlin Hostel Crew recommends to do this weekend!!! In squatting, Tilo Schulz and Jörg van den Berg articulate an exhibition practice which emphasizes the presence and the actual experience of the artwork in the exhibition in terms of display as art mediation. squatting brings together works of art that address remembrance in thematic and structural terms, as well as pieces thatdeal with experiences o f places, situations, and people. Hence squatting establishes a direct connection between the Temporäre Kunsthalle and its location (the Schloßplatz) as a place that is permanently exposed to ideological appropriations. Okay and what´s up with saturday? More cool parties!!! Panorama Bar My My, Will Saul, Lee Jones, Appleblim, Ryan Elliott, Cassy, C- Rock (Motorcitysoul), ..
That´s all for now. I hope you will enjoy your weekend in Berlin!! !